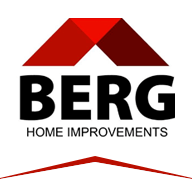 We as a family would like to take the opportunity to personally thank you for your interest in Berg Home Improvements. This is our family’s business of over 50 years, and we are proud to be running it in the tradition of our grandfather. Based out of Downers Grove, we serve most of the Chicagoland area. No matter your exterior need we have the professionals to take care of it. We are truly your one-stop shop when it comes to exterior remodeling. We are a professional roofing and siding contractor, and we offer the highest quality service at a good price. Don’t cut corners on your most important asset: your home. If you are looking for something a little more, we are the company for you. We offer a competitive price, excellent workmanship, honesty and we are very responsive to your needs. You are our highest priority as a customer. We have a number of crews working in the community, so we are able to meet your scheduling needs. We do not leave jobs until they are finished and you, the customer, are satisfied with your new home improvement. We are also one of the only companies in the area that offers a dedicated service crew. From the initial contact to all follow-up calls, you will experience for yourself how the Berg team always strives to achieve 100% customer satisfaction. You will be very satisfied with our high level of service. We have been in business for a long time, so you can rest assured that Berg has the people, the know-how, and the financial strength; to get the job done on time. We are proud of our accomplishments in this business and are proud to be recognized as one of the top companies in the industry by our manufacturers.